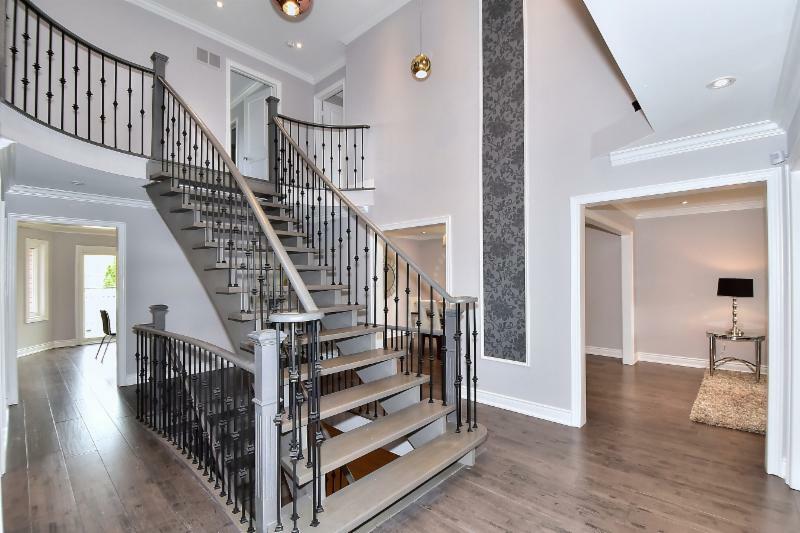 As you step through the grand porch & door entry you will immediately take notice of the opulent finishes and gorgeous interior. 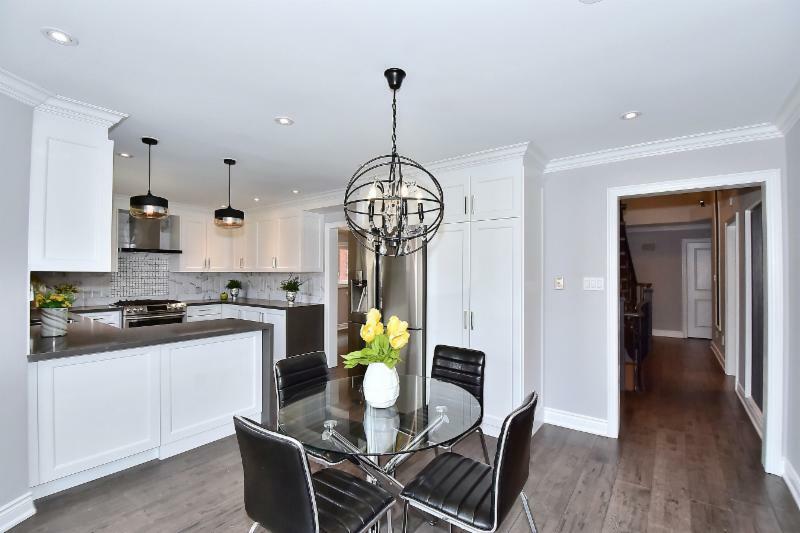 Featuring a 2-storey foyer, 8" stressed hand scraped hardwood floors, tall smooth ceilings, oversized windows and doors, energy saving LED pot lights, exquisite Scarlett O'Hara oak staircase, designer light fixtures and paint. 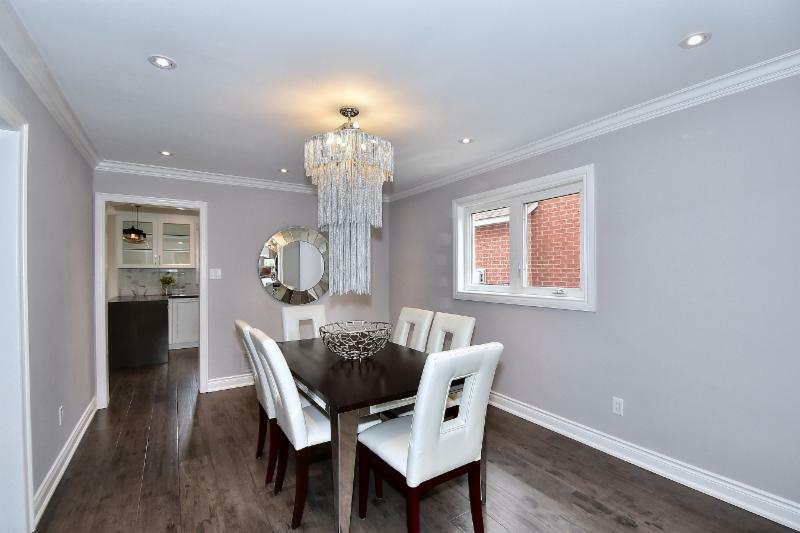 Under the exquisite chandelier enjoy a romantic dinner for two or host an elegant formal party in this formal dining room. Continue your elegant formal party into the formal living room or watch the sunset with a cup of tea through the oversized windows. The heart of the home. 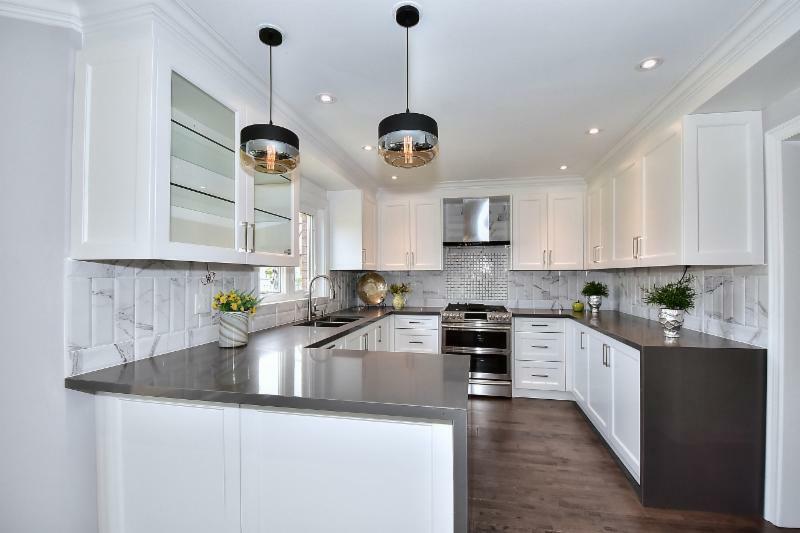 This masterpiece kitchen boasts a functional flow; with waterfall quartz counter, double undercounted deep stainless steel sinks, soft closure cabinets with built-in organizers, including with 2 Lazy Susans and built-in garbage bins. Samsung State-of-the-art Chef Series gas stove with double ovens for baking enthusiasts, refrigerator with Sparkling Water dispenser, and a designer Italian chimney style hood fan. Added bonuses of porcelain backsplash, undermount lights, glass accent cabinets, and pendant lights make this a show piece. 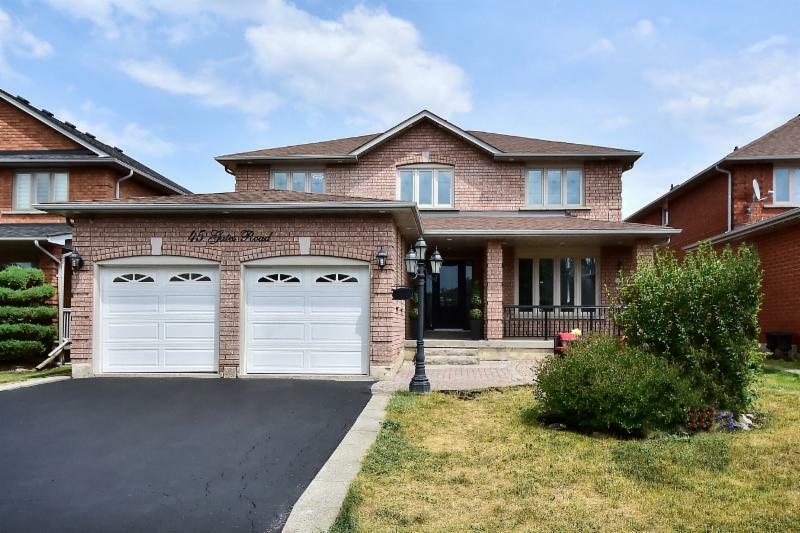 The eat in area boasts a walkout to the backyard and a built-in pantry. 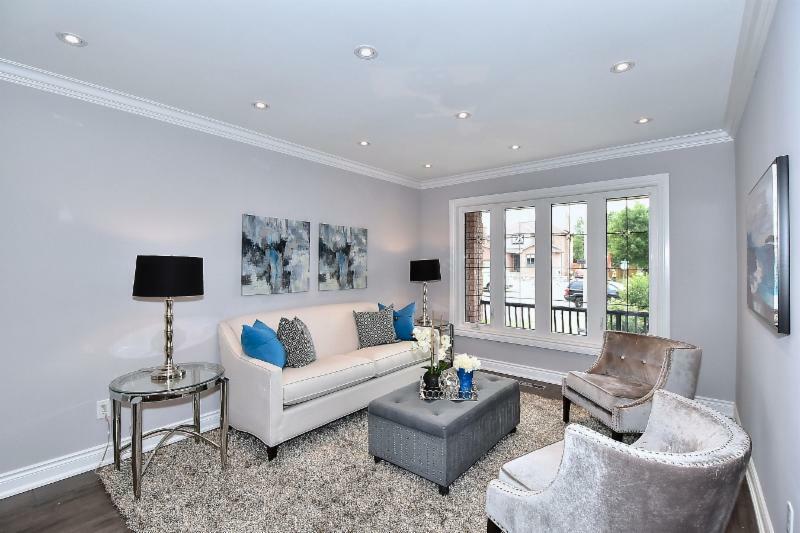 Enjoy the comfortable leisure space in the family room - with three custom built accent pieces. 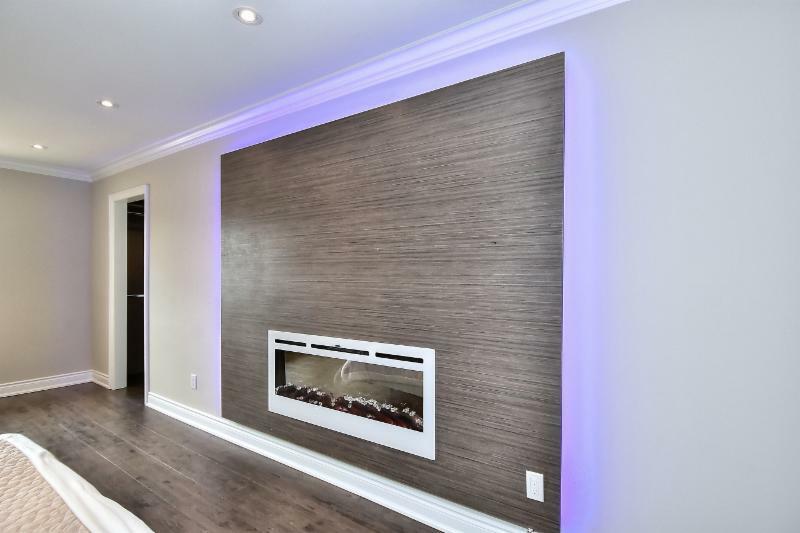 Turn on the custom built-in fireplace, and enjoy a perfect family night watching TV on an elegantly back lit media wall. The privacy of the library allows you to work in tranquility. 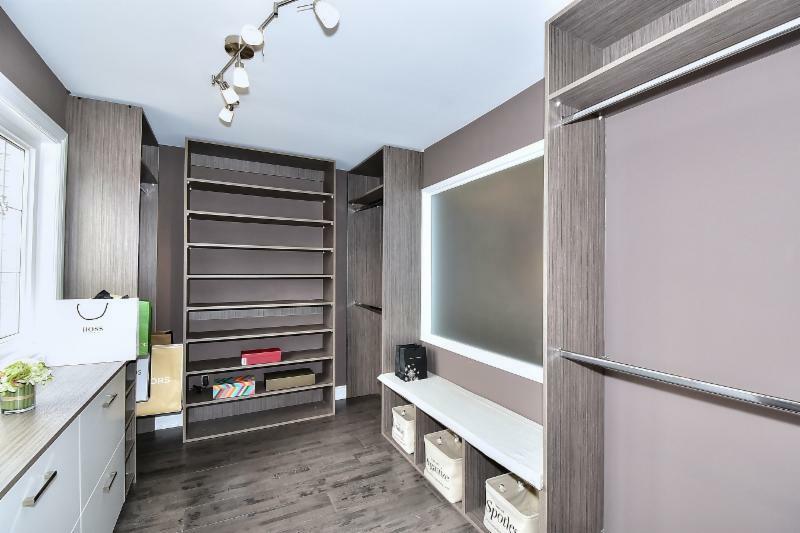 This room continues to boast the elegance of the rest of the house. 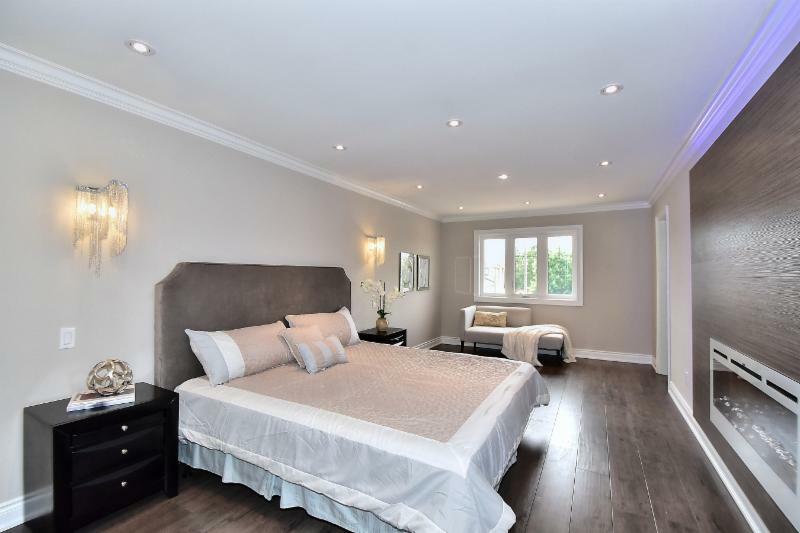 The spacious master suite boast yet another custom built floating accent back lit wall with a fireplace and designer built-in reading light sconces and a custom built walk-in closet. 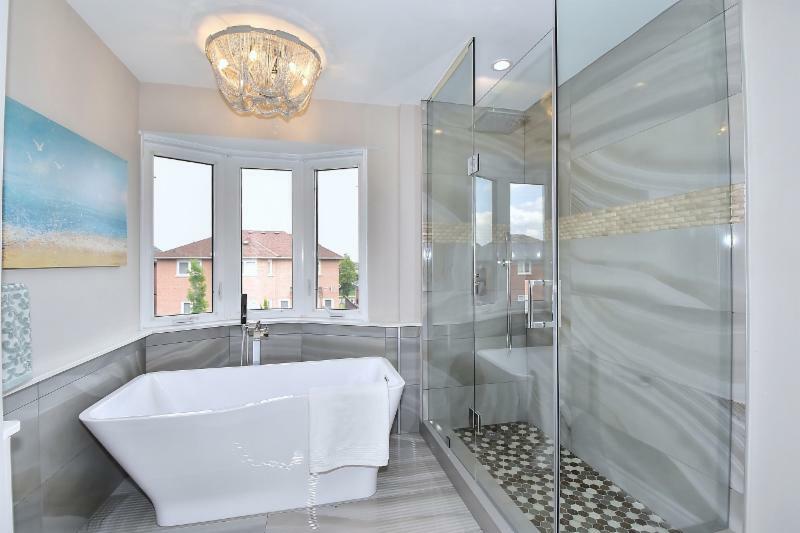 The five piece ensuite features a designer chandelier above a state-of-the-art floating soaker tub, double sinks, quartz counters, framed mirrors, wall sconces, large porcelain floor tiles, and a full glass enclosed shower with a 12" rain shower head. The enormous recreation room is a whole living space on its own, featuring 8" German engineered wood grain laminate flooring, a full custom built kitchen, granite counter, undermount double stainless steel sink, one bedroom, a three piece washroom with a floating vanity and a glass enclosed shower. 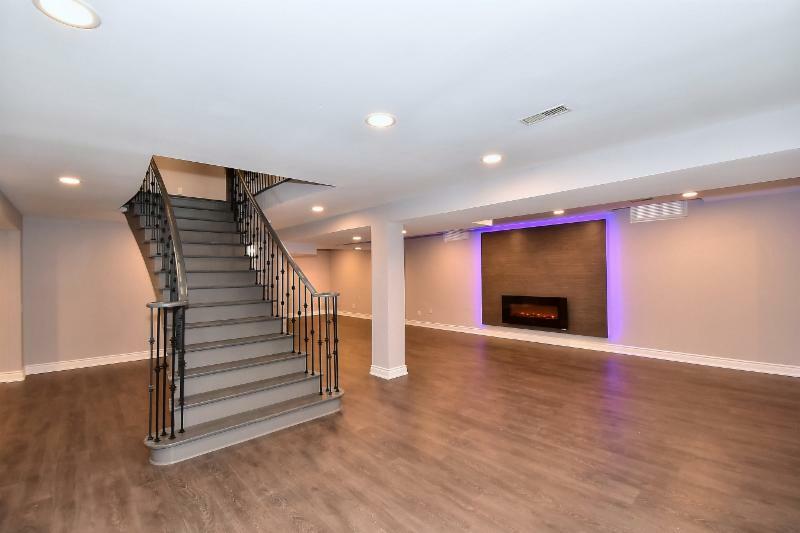 The entertainment area boasts a custom built floating back lit accent wall with a fireplace, game room and plenty of storage rooms. 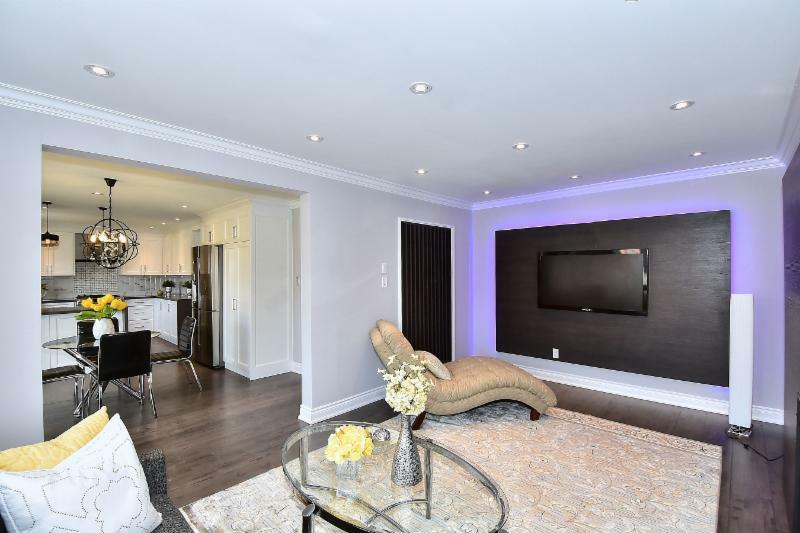 More upgrades include; Custom built-in European style wardrobes, Custom built floating accent walls - 3 back lit with modern fireplaces, designer light fixtures, one-piece comfort height toilets, Custom built niches, 5 surveillance cameras with 24 hour monitoring, throughout this exquisite home.